The Center for Neurotechnology (CNT) works with students from kindergarten through graduate school and beyond. We work with teachers and combine our knowledge to create lesson plans to be used in classrooms across the country. Our hope is that the students we inspire will pursue careers in neural engineering and neuroscience. Some may end up teaching or conducting research, while others create their own companies. 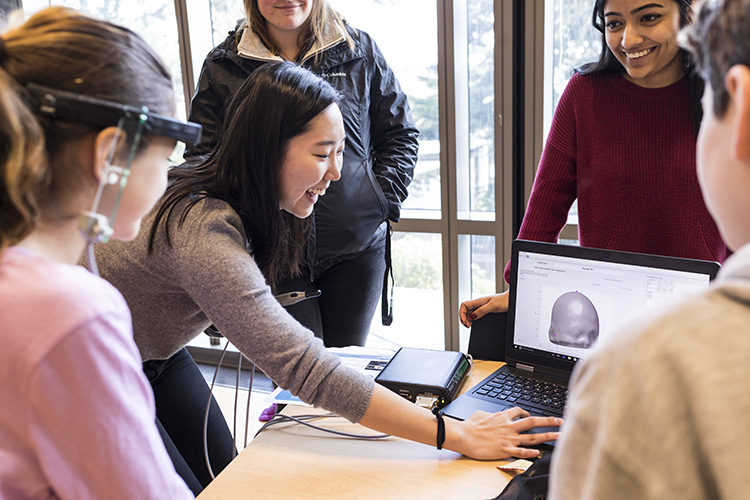 creating and supporting graduate-level neural engineering classes, including those that lend themselves readily to start-up projects and technologies. We also provide faculty and student exchange programs across partner institutions, with a special emphasis on building long-lasting relationships with institutions that predominantly serve underrepresented minorities. Through international collaborations, the CNT promotes a global view of science and technology concerns for students and faculty.